Xi Jinping, the new leader of the Communist Party of China (CPC) announces “No stop in reforms and no stop in opening up”. Jinping was speaking at the conclusion of his trip to south China’s Guangdong Province from December 7 to 11. Echoing the mandate of the 18th CPC National Congress’ to accelerate reforms Jinping issued a “new declaration and a new mobilisation order” for further opening up of China’s economy. “We came here to revere the statue of Deng Xiaoping to show that we’ll unswervingly push forward reform and opening up and strive to achieve new progress, new breakthroughs and new steps in boosting reform and opening up and the country’s modernization drive,” he said while laying a wreath at the late Chinese visionary’s statue. The new leader is also in command of China’s military. The visit to Guangdong Province was Jinping’s first official trip outside of Beijing since he was anointed on November 15. 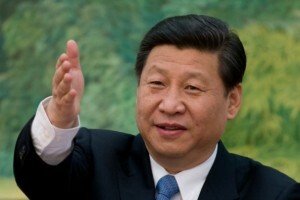 Under the rule of Jinping’s predecessor, Hu Jintao, China’s GDP increased nearly fivefold.